"O conqueror of wealth, have you heard this with an attentive mind? And are your ignorance and illusions now dispelled?" Recite the entire Bhagavad Gita... in 5 hours! Refresh your soul in the company of His Grace Sutapa das & His Grace Navadvipa Chadra das. 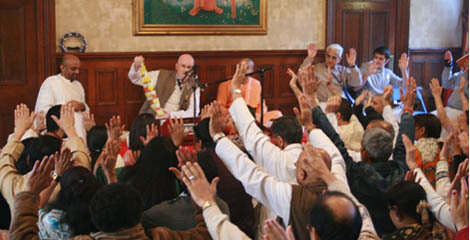 The entire 700 verses of the Gita will be recited, and chapter summaries will be presented. A fire yajna will be conducted throughout the recitation.